The atmosphere, the moments, the memories….you simply can’t beat a big Wembley occasion. Club Wembley is an exclusive membership service guaranteeing your seat at some of the biggest sporting and entertainment events throughout the year, meaning you never have to miss out again. Priority access to world class concerts and events such as Adele: The Finale and the NFL 2017 London Games at Wembley, as well as a whole host of other benefits. If all that wasn’t enough, for next season members will also have access to Premier League games played at Wembley through the Club Wembley Connections programme! 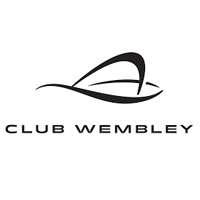 Whether you’re looking to entertain clients, host business meetings or create memories with family and friends, Club Wembley provides the ultimate backdrop.